Virgin Mobile Launched GSM services in India, Presently they launched in South India-Andhra Pradesh,Tamil Nadu,Karnataka,Kerala circles. Virgin offers their GSM sim at Rs.49, with Zero balance and Life long Validity. To get activate your sim, your first recharge must be atleast Rs.10. The denominations also available at Rs.25,Rs.40,Rs.50,Rs.100 . By default all the Local calls are at Rs.1/min, STD at Rs.1.50/min. By recharging with Rs.13, you will get this plan. Also get Rs.11.79 talktime with 365 days validity. Daily deduction of Rs.1.5 is applicable in this tariff. Roaming: 60p/min for both Incoming and Outgoing. By recharging with Rs.12 voucher you will get this Tariff. Also you get Rs.10.88 talktime with 365 days validity. 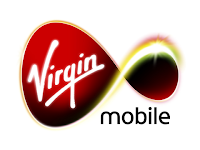 Virgin GSM offers SMS vouchers to rock the SMSs. The SMS voucher is available at Rs.33, by recharging this you will get 2000 Local and National SMS for One Month. A special SMS voucher for Tamil Nadu,Chennai circles: Rs.34, y this you will get 10000 Local SMS for one month. Also, with Rs.69 voucher you will get daily 500 SMSs for one month.This pack will be available shortly. Is the Plans are Good? or have to be improve to Compete with others? Shae your opinion with others. Tags:Virgin,GSM,Tariffs,per second,per minute,sms offers,vouchers,circles,launched,call tarrifs,costs.